Michael L. Ray, 61, of Hudson, FL, formerly of Bargersville, IN passed away Thursday, May 11, 2017 at Indiana University Health in Indianapolis, IN. He was born January 29, 1956 in Birmingham, Alabama to Harold Leland Ray and Janet Lee (Patterson) Ray. He married Diane on June 6, 1981 at Calvary Baptist Church in Greenwood, she survives. He was a 1974 graduate of Center Grove High School, attended Indiana Central University, American Trans Air Aviation Training Academy, and received his associates degree in aviation maintenance technology. He was a senior aircraft mechanic for Omni Air International of Tulsa, OK since 2008. 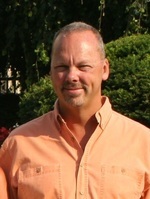 He previously had been employed by American Trans Air in Indianapolis from 1994 to 2008 and owned and operated Snap-On Tools for seven years. He was a former member of Calvary Baptist Church in Greenwood, IN, a member of the National Hot Rod Association and member of the Road Agents Hot Rod Club. He enjoyed traveling and spending time by the beach and on the water, fishing, boating, and being a private pilot at the Franklin Flying Field. He had worked and visited 137 different countries in his lifetime. Survivors include his wife Diane Ray of Hudson, FL, daughter Allyson Halilic (Hakija) of New Port Richey, FL, a son Aaron Ray (Jessica Radke) of Shady Hills, FL, a grandson Aldin Michael Halilic and expecting a second grandchild in December 2017, his parents Harold Leland Ray and Janet Lee (Patterson) Ray of Greenwood, IN, a sister Lesa Fritz (Mac) of Scottsdale, AZ, and a nephew Cory Mascari. Daphna Tobey will conduct a memorial service on Saturday, May 13, 2017 at 3PM at Swartz Family Community Mortuary and Memorial Center, 300 South U.S. 31 (Morton Street) in Franklin, IN, where the family will receive friends from 1PM till service time. Memorial contributions may be made to the Appendix Cancer Research at www.acpmp.org. Online condolences may be sent to the family at www.swartzmortuary.com. Information at 317-738-0202.